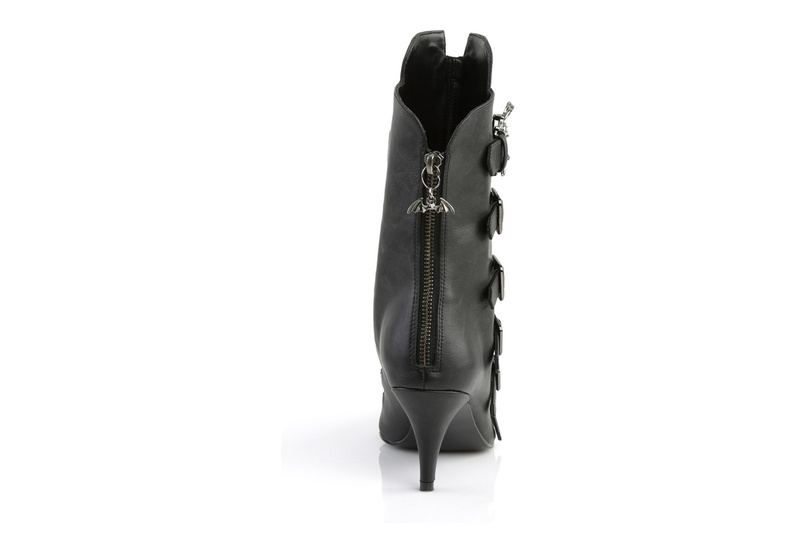 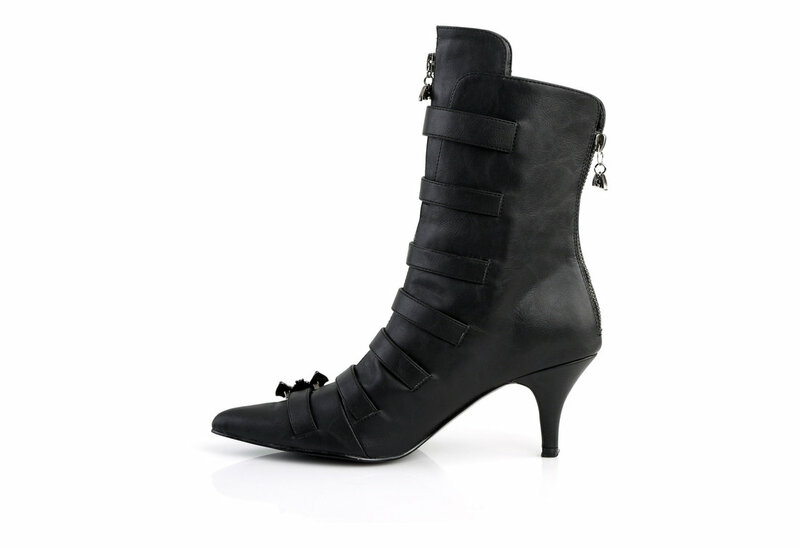 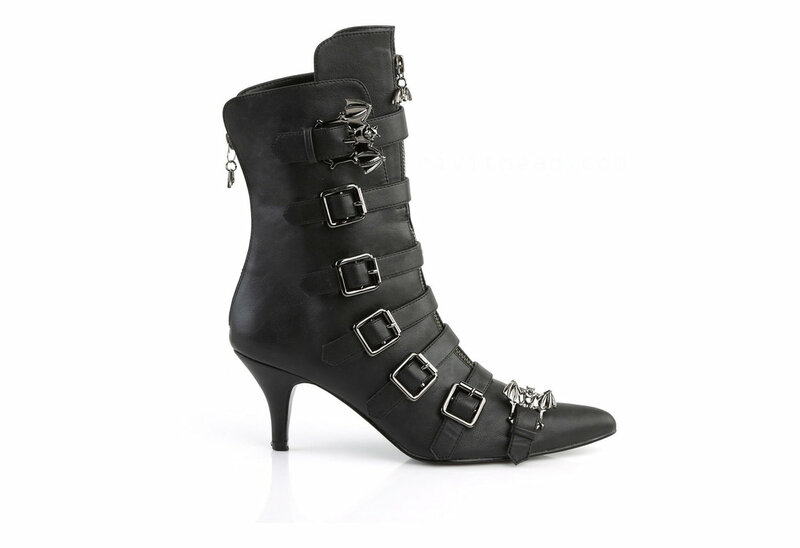 A Gothic inspired winklepicker pointy toe ankle boot, the Fury-110 has a 2 3/4 inch Kitten Heel. 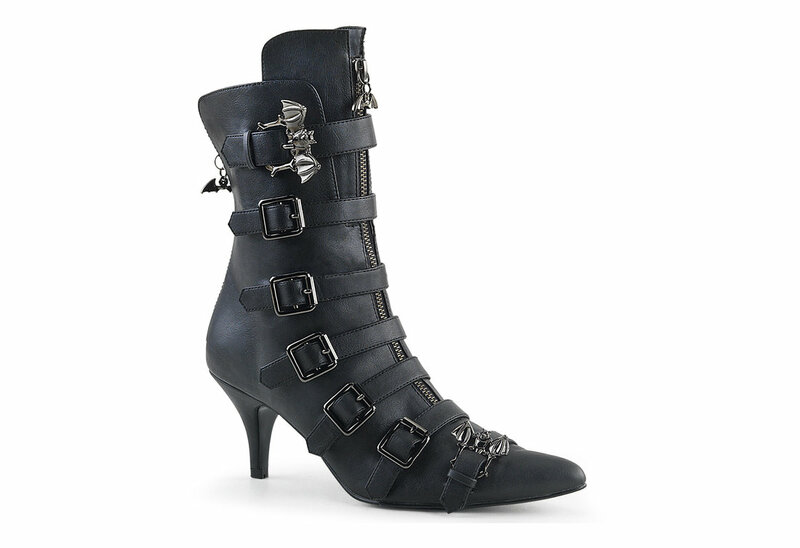 This boots features multiple ornamental straps with buckle and bat buckles. 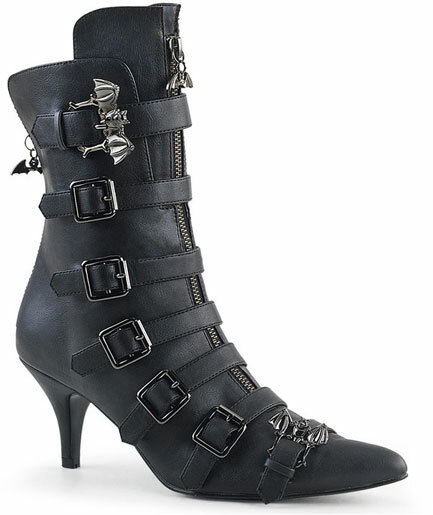 The front has a full zipper and bat charm zipper pulls.